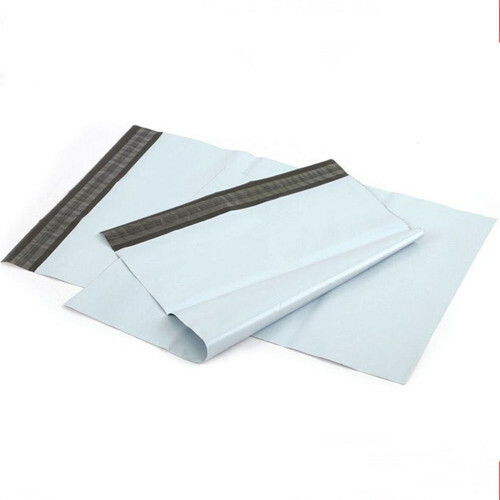 Sescription:-Size(5" x 6")these bags are great for mailing of invoices, imp papers, cheques, dvd's, cd's, brochures, samples, garments, online shopping, leaflets, etc. They are manufactured with flap, which has a hot melt pressure sensitive adhesive strip for easy & permanent closure. Once sealed properly, it cannot be opened has to be torn. Size(5" x 6")these bags are great for mailing of invoices, imp papers, cheques, dvd's, cd's, brochures, samples, garments, online shopping, leaflets, etc. They are manufactured with flap, which has a hot melt pressure sensitive adhesive strip for easy & permanent closure. Once sealed properly, it cannot be opened has to be torn. These bags are great for mailing of invoices, imp papers, cheques, dvd's, cd's, brochures, samples, garments, online shopping, leaflets, etc. They are manufactured with flap, which has a hot melt pressure sensitive adhesive strip for easy & permanent closure. Once sealed properly, it cannot be opened has to be torn. Milky white colour outside & gray/black inside polyethylene. Easy to write on with a permanent marker co-extruded 3 layer film. 13. 5 x 17 inch.